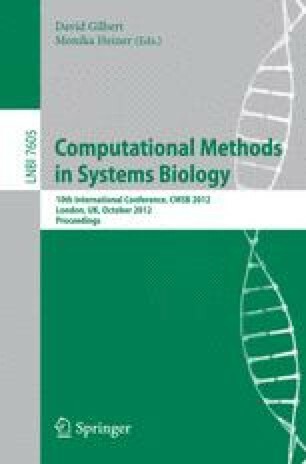 Exploring the community structure of biological networks can reveal the roles of individual genes in the context of the entire biological system, so as to understand the underlying mechanism of interaction. In this study we explore the disjoint and overlapping community structure of an integrated network for a major fungal pathogen of many cereal crops, Fusarium graminearum. The network was generated by combining sequence, protein interaction and co-expression data. We examine the functional characteristics of communities, the connectivity and multi-functionality of genes and explore the contribution of known virulence genes in community structure. Disjoint community structure is detected using a greedy agglomerative method based on modularity optimisation. The disjoint partition is then converted to a set of overlapping communities, where genes are allowed to belong to more than one community, through the application of a mathematical programming method. We show that genes that lie at the intersection of communities tend to be highly connected and multifunctional. Overall, we consider the topological and functional properties of proteins in the context of the community structure and try to make a connection between virulence genes and features of community structure. Such studies may have the potential to identify functionally important nodes and help to gain a better understanding of phenotypic features of a system.